Over the past month or so I’ve been listening to the audiobook version of Gone Girl by Gillian Flynn. I know some people out there don’t like audiobooks, but I really enjoy them. As someone who’s always been fascinated by voice acting, I love hearing a good performance of a good book. I thought Gone Girl was pretty good. Not great, but good. Having already known that David Fincher is attached to direct the film version when it hits theaters in 2015, as soon as the audiobook was over I had one thought – I’ll bet the movie’s better. Which is kind of backwards to popular opinion, isn’t it? We’ve all heard it before. Most of us have probably said it ourselves, and probably more than once. I used to think (and sometimes still do) that some people would say that no matter how good the movie was, just as a sort of humblebrag to let people know they’ve read a book. But there’s a reason all of us have heard that and most of us have said it – it’s usually true. There are things in books, be they physical descriptions, what characters are thinking, etc. that can be hard to convey on film. Then there’s the matter of the story itself. Some stories just lend themselves to the written word better than any other medium. So the movie that really is better than the book can be a rare bird indeed. First off, as usual with my “list” posts, I’m limiting this to five. Also, I’m keeping it honest by only ranking books I’ve actually read. It would’ve been easy to include books I hadn’t, as the same books populate every other similar list – Jaws, A Clockwork Orange, Blade Runner, The Godfather and many others. And seriously, is there any way humanly possible the book Wise Guy by Nicholas Pileggi could be better than Goodfellas? But I resisted temptation. 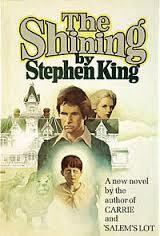 Finally, I’m limiting the list to just one Stephen King book/movie adaptation. I’ve read his work far and away more than any other author, and could easily devote an entire post solely to films based on his work. This was a tough call for me, so I decided list it as an honorable mention just to give it some recognition. Although I haven’t read it in several years, the first of the Hannibal Lecter books has long been one of my favorite thrillers. When you take a book that good and adapt it with Michael Mann directing, you’re going to get a good movie. And you do. Manhunter is very good, and it may very well have made my list if it weren’t for one thing: the ending. Some people consider the end of the novel to be a bit cliche, but I liked it. The movie changed it for whatever reason, and it left me disappointed. That being said, Manhunter is still a great movie. Although Anthony Hopkins would eventually claim the character as his own, it’s very interesting to see how Brian Cox plays Dr. Lecter. This is a case where the movie really didn’t change too much; just some small tweaks like combining multiple characters into one, adding the death of a character to heighten the drama, that sort of thing. The story itself was really not altered. It’s just that the movie was that damn good. As big a fan of movies as I am, I don’t always notice things like cinematography, art direction, lighting, etc. After writing, acting, and directing the other technical aspects of a film can go unnoticed. When I watch Shawshank I may not necessarily recognize exactly what it is that sets it apart from so many other movies, but I know it’s special. It’s a bit like eating a delicious plate of food. You may not be able to pick out each specific ingredient, but when you taste all of it together you know it’s something extraordinary. This movie is also the very, very rare exception where I wholeheartedly approve of the “Hollywood ending.” Honestly, was there any other way this movie could’ve ended other than with Andy and Red meeting up on the beach? 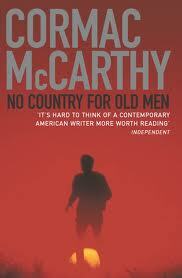 I have a confession to make: I’m not a huge Cormac McCarthy fan. When The Road came out to such acclaim, I thought I should give it a look to see what all the hubbub was about. I think I made it about 35 pages, then gave up. A couple months later I picked it back up and finished it. It was a challenge, though. I guess his writing style is just not for me. I obviously see the talent Mr. McCarthy has, but it’s lost on me. It’s like listening to Mozart when you’d rather just crank The Ramones. That being said, even after my experience with The Road I wanted to give him another shot. I had already seen the Coen Brothers film and really liked it a lot, so I decided to try the book. I did like it better than The Road, but something about it just never really grabbed me and pulled me in. 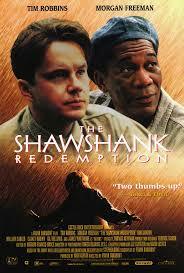 Like Shawshank, the movie barely changed a thing story-wise, but it just heightened everything to a new level. I felt a tension and sense of dread watching the movie that I didn’t feel with the book. Maybe reading the book first would have had a different effect on me, but after reading a few pages of Blood Meridian, I think it’s safe to say my Cormac McCarthy collection will never take up much space on my bookshelf. 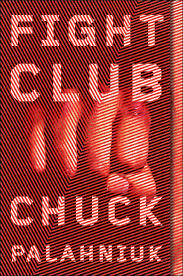 Chuck Palahniuk is one of my favorite authors, easily in my top 5. 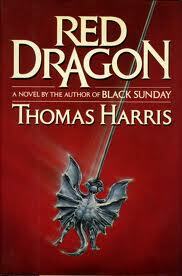 The thing about his books, though, is they don’t necessarily make for an easy transition to the big screen. 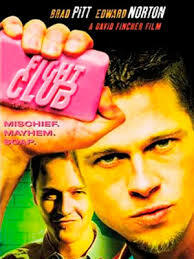 Which makes Fight Club that much more remarkable. David Fincher took a very complicated story and managed to make it easier to follow without dumbing it down at all. He turned a good book into an excellent movie. 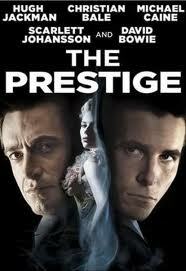 The casting and direction were also top notch, and I can’t imagine the book being adapted any better. Palahniuk himself has said that the film is superior to his book, and I have to say, he’s not wrong. Again, an author in my top 5. 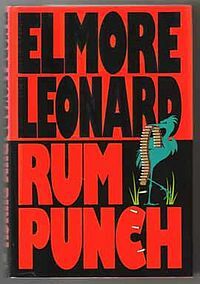 Elmore Leonard has a gift for writing dialogue that sets him apart from most other writers. I got a box full of Leonard paperbacks for Christmas a few years ago and tore through most of them in no time flat. Writing this reminds me I need to go back and read the rest to remind myself why he’s a master. At this point in the list we reach movies that really made some changes. In the case of Jackie Brown, some pretty significant changes. For one, the ethnicity of the main character. In Rum Punch, Jackie is white. Casting Pam Grier, changing the character’s last name to Brown, all the awesome music, creating an homage to ’70’s Blaxploitation films? All Quentin Tarantino. He still could have made a good movie without making those changes, but it’s those changes that make the movie what it is. Following the blockbuster success of Pulp Fiction, I think this movie let some fans down who were perhaps looking for something a little more violent. That’s really a shame, because I think Jackie Brown is nearly flawless. Robert Forster was nominated for Best Supporting Actor for his work here, but lost to Robin Williams for his performance in Good Will Hunting. Robin Williams was great in that, but part of me feels Robert Forster was robbed. This film tops my list for two reasons: it’s my favorite film of the five, and it changed the source material the most. Christopher Priest’s novel is intriguing to say the least, but Christopher Nolan took that novel and made something truly awesome. I should mention here that I really can’t stand period pieces. I don’t know if it’s because I’m a dude, or because I’m American, maybe both; all I know is if a story is set before, say, the 1950’s I’m generally not interested. 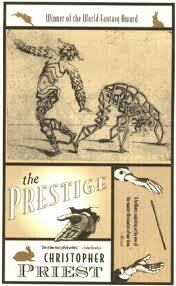 So when I heard the plot of The Prestige – two rival magicians in nineteenth century London feud while trying to one-up each other performing the ultimate illusion – I was less than thrilled. But given Nolan’s track record (Memento is another one of my favorites) I decided to check it out. Like with No Country for Old Men, I read the book after seeing the film; reading the book first may have changed my opinion. Well, there you have it. As always, these are just the subjective opinions of some geek on the internet. Feel free to agree or disagree as you please by leaving a comment below. If you’ve read one of the books but not seen the movie, or the other way around, do so and see what you think, and please, let me know. This entry was posted in Books, Movies and tagged adaptations, books, Cormac McCarthy, David Fincher, Elmore Leonard, Film, Jackie Brown, Manhunter, Michael Mann, Movies, movies better than books, No Country for Old Men, quentin tarantino, Red Dragon, Rum Punch, Shawshank Redemption, Shining, Stanley Kubrick, Stephen King, The Coen Brothers, Writing. Bookmark the permalink. ← What Do You Do When You Don’t Know What to Do? Great list and a fun topic. 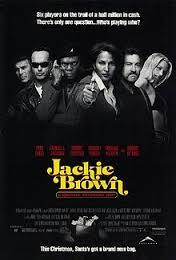 I agree wholeheartedly on Jackie Brown, the only Tarantino film I really like. 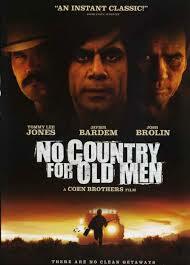 The Coens work magic with No Country and I had real trouble with the book. 1. The Help – the book was better overall, but its use of dialect was very poorly handled. The movie had a solid cast and much better (since you could HEAR it) voices, even though it left out some important character development. 2. The House of Sand and Fog – an amazing book that was adapted perfectly. For me, this is the gold standard of an adaptation. 3. Brokeback Mountain – like you with McCarthy, I can never enjoy Proulx’ fiction as much as I think I should. The short story was confusing and jumbled. The movie was brilliantly cast and directed and enormously powerful. Agree with Robert, great list. 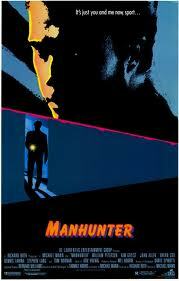 Glad you made mention of Manhunter, a wonderful and underrated film of Mann’s. Like you I loved Red Dragon, but loved that Mann took the story and made it his own – it always feels like a Michael Mann film rather than a Harris adaptation. What I love most about Manhunter (and so many of Mann’s films) is how wonderfully stylish it is – I would love to have seen it in a cinema to have fully appreciated it. Brian Cox is also my favourite Lecter – I always felt Hopkins pushed the hamminess too far. Lecter would never be that over the top. Shawshank is one of my favourite films, so have to agree with you there too. Adapting short stories is always a bit easier for the film maker, but rarely are they that good. I can’t think of too many films that outdo the source novel or short story, but would have to mention John Huston’s The Dead, which is my favourite film. I know it is Joyce, but there is a wonderful fullness to the film that I think even Joyce would have approved of. I would also add The Exorcist – pulp transformed into art. Ones which get close but don’t quite match the source for me would be Howard’s End, The Remains of the Day, One Flew Over the Cuckoo’s Nest and The English Patient. I could mention more but I think I’ve gone on too much already! I think Michael Mann is one of those directors who could make almost anything into a good movie. Seeing it in a theater probably would have made a bigger impact on me too. I agree about Brian Cox as Lecter. The more I watch (I’m still catching up), the more I think I might even like the new Lecter on Hannibal more than Anthony Hopkins. I’ll also check out your recommendations, and thanks for commenting! Interesting and well-written, as always. 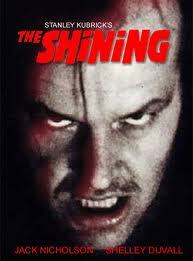 I’m not sure I agree with you on The Shining; King is so good at descriptions. I was stunned that they cast Shelley Duvall as Wendy, since in the book she was blonde and full-breasted; I think the only thing they got right is that she’s female. Regardless, she handled the role well. I have to know: what did you think of The Dead Zone, movie v. book? Boy, you know, I’m not sure if I’m qualified to compare because it’s been so long since I’ve seen the movie or read the book. 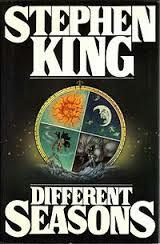 I can tell you The Dead Zone was the first King book I ever read, so it holds a special place for me. All I really remember about the movie is that Christopher Walken was in it, and when that cop mounted the scissors on the sink. I think maybe I need to revisit both!